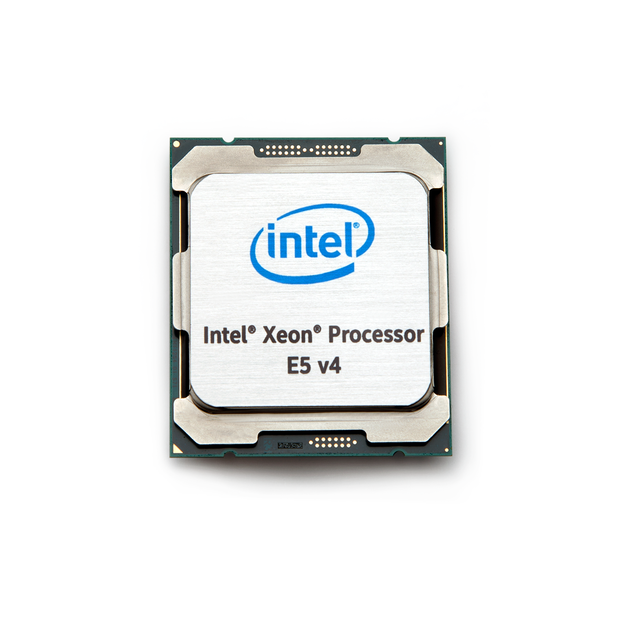 Intel's Xeon E5-2600 V4 will pack 22 Broadwell cores and Hyper-Threading. Think your eight-core PC is cool? Not anymore. Intel is turning loose a 22-core monster of a CPU, dubbed the Xeon E5-2600 V4. The CPU’s 22 count is made up of Broadwell cores, which when combined with Hyper-Threading, amounts to no fewer than 44 threads in a single-socket computer. On a dual-socket machine, you’re looking at 88 threads in a workstation. Yes, cue Johnny Dangerously joke here. The new Xeon E5-2600 V4 hasn’t shown up on Intel’s ARK product list yet, but the top-end part with 22 cores is the Xeon E5-2699 V4 with a base clock speed of 2.2GHz, 55MB of cache, and a TDP that isn't that crazy at 145 watts. An enthusiast eight-core Haswell-E has a TDP of 140 watts, but runs at 3GHz and supports overclocking. The price? A cool $4,115. That works out to $187 per core. The same eight-core Core i7-5960X at $1,059 is $132 per core—what a deal, right? The new Xeon series supports DDR4/2400 and up to 12 DIMMs per CPU socket. With registered modules that means 385GB of RAM per chip using 32GB DIMMs. This is the back of a 22-core, 44-thread Intel Xeon E5-2699 v4 chip. Cost? Just $187 per core. OK, so you’re thinking this doesn’t apply to you, Jane or Joe Consumer. But high-core-count Xeons have historically found their way into all kinds of consumer machines. 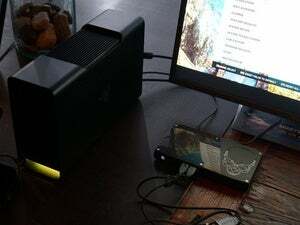 The Falcon Northwest Tiki I reviewed last year, in fact, featured a Xeon part in an Xbox-sized form factor. The Tiki’s Xeon, however, had a piddling 18 cores, based on Haswell. Xeons are also relevant to the prosumer crowd. Apple’s MacPro line, for instance, has long offered core-laden Xeons, as have Boxx’s workstations. For the most part though, Intel’s big news impacts data centers more than desktop PCs. 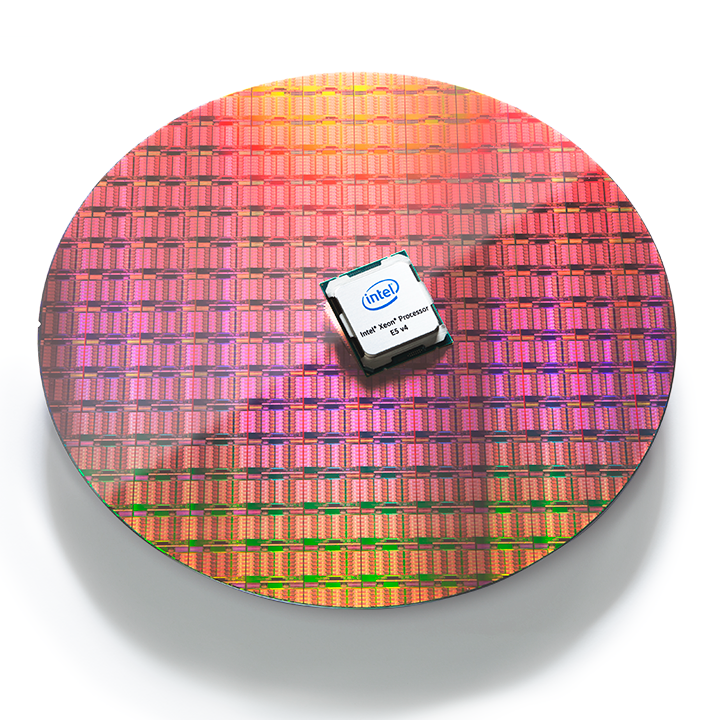 Intel's Xeon E5 v4 server chips have up to 22 cores. Still, Intel is rumored to be introducing a consumer-focused Core i7 chip later this year with 10-cores under its lid. Code-named Broadwell-E, the chip is expected to work with many existing X99 motherboards and, for the first time, give consumers a 10-core option. AMD’s Zen due later this year is also expected to push the thread and core count, with the chip apparently packing up to 32 cores. With AMD’s pivot to support a Hyper-Threading-like approach with Symetrical Multi-Threading, the Zen CPUs would effectively have 64 threads. The highest-end Zen isn’t likely to be a consumer CPU, but it does appear to signal a looming battle, with thread count (necessary or not) being the carrot to lure consumers to new computers. Moorhead's not convinced: “I do believe we will see a core and thread war between Intel and AMD, but only in the data center and only with medium-size cores and above." Why this matters, or not: Does the average consumer really need 22 cores? No. In fact, most people don’t even need a quad-core machine. That’s starting to change as DirectX 12 games lean more heavily on cores, but even still, you can simply appreciate this for what it is: an awesome amount of compute cores packed into a CPU. Who doesn't need a 22-core CPU?